Facebook has been criticised by a gun safety group for taking millions of dollars in advertising money to promote a legal "loophole" that allows Americans to obtain "concealed carry" weapon permits without any physical training. A company promoting the controversial scheme has been designated a "political advertiser" by Facebook, and has become the third biggest spender, after Donald Trump and Beto O'Rourke. They are far ahead of other big political advertisers, including Democrat 2020 front-runner Kamala Harris, and the oil giant ExxonMobil. David Chipman, senior policy adviser at the Giffords Law Center to Prevent Gun Violence, said: "A company has choices to make, to look if it's in the interests of their company to support people carrying guns that haven't been trained to use them. "I would just want them [Facebook] to make that decision with eyes wide open. You don't get that training by answering multiple guess questions on the internet." Mr Chipman, a former SWAT team officer, and a concealed carry permit holder, added: "I would not be surprised if they [Facebook] had no idea what is happening. Their lawyers were probably satisfied nothing illegal was occurring." Had they sought a Texas licence they would have needed to spend four hours being trained in a classroom, and demonstrate proficiency loading and shooting on a firing range. Travis Bond, a firearms instructor in Dallas, told local television there: "It's not smart at all. It's crazy in my view." The adverts on Facebook, thousands of them, urge users to "Jump on the LEGAL LOOPHOLE" which is "STILL IN EFFECT FOR NOW!". They tell people to "BEAT THE BAN! before "GUN-GRABBING DEMOCRATS" change the law. One of the questions was: "True or false - you should not use drugs or alcohol before or while shooting". A qualification certificate can then be downloaded for a charge of $65 and sent off to Virginia State Police. The adverts appear to have contributed to a surge in people getting the permits online. Virginia State Police records show 8,760 were issued in 2017, 25 per cent up from the year before. The $3.7 million has been spent, on more than 16,000 adverts, by Concealed Online, a California-based company which put together the online test and profits from the fees paid by those getting permits. It has an 'F' rating, the lowest, with the Better Business Bureau, which said it had "failed to resolve underlying cause(s) of a pattern of complaints". On its website the company says would-be concealed carry permit holders can "do the whole thing on your cell phone or computer, its that easy". It says the test is "beyond simple" and "you never need to fire a gun, much less touch one. All you need is an internet connection". The website also warns that "secret factions in the US government are making it harder for you to enjoy your Second Amendment rights". The company did not immediately return a request for comment. It has previously pointed out that it follows the law and has done nothing wrong. Facebook's guidelines allow adverts for "safety courses for firearm training or licences". They ban "adverts promoting the brandishing of firearms" and the sale of weapons. The social network said it had reviewed the "Virginia loophole" adverts and they did not violate its policies. They were classed as "political advertising" because they included "advocacy" related to an issue of national importance, specifically guns. A Facebook spokesperson said it was "transparent" about adverts it accepts. That was shown by the fact it had opened its "Ad Archive" to the public. The archive includes records of spending by all political advertisers, along with copies of their adverts. The transparency push followed Russia's attempts to use Facebook to influence the 2016 election. Facebook said it has a "high standard" for political adverts and they have to be authorised. The spokesperson added: "Our goal is to increase transparency on Facebook and prevent foreign interference in elections. This is why we have implemented the authorisation process, including requiring a 'paid for by' disclosure, and released a searchable Ad Archive. "Separately, we do not allow weapon sales in ads on Facebook, which is outlined in our advertising policies." 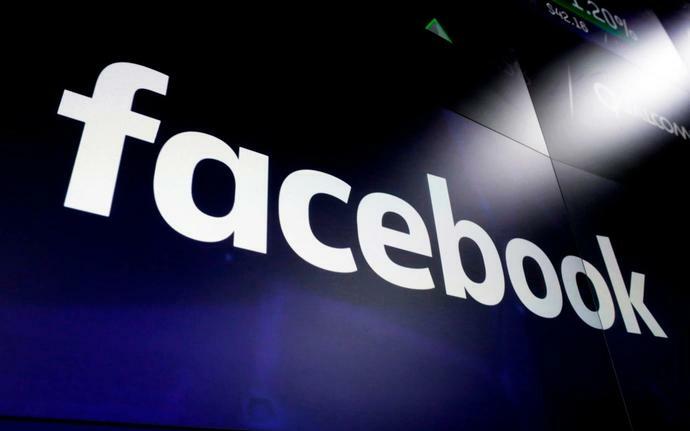 The measures have been brought into sharper focus since the live streaming on one of Facebook's platforms of a lone gunman killing 50 people at two New Zealand mosques in March. The parliament voted 308 to 204 with 70 abstentions to back the proposal to tackle the misuse of internet hosting services for "terrorist purposes" . "Companies that systematically and persistently fail to abide by the law may be sanctioned with up to 4 percent of their global turnover," it said.